Elliptical trainers and treadmills both have similar benefits. They are both good for your health and they are great for burning a lot of calories but elliptical trainers are low impact. Low impact means it is easier on your body. Elliptical trainers also exercise your arms and make less noise than a treadmill. The movement is a combination between running and biking. If you use one at the gym there will probably be a line up but you can buy one for your home if you want. 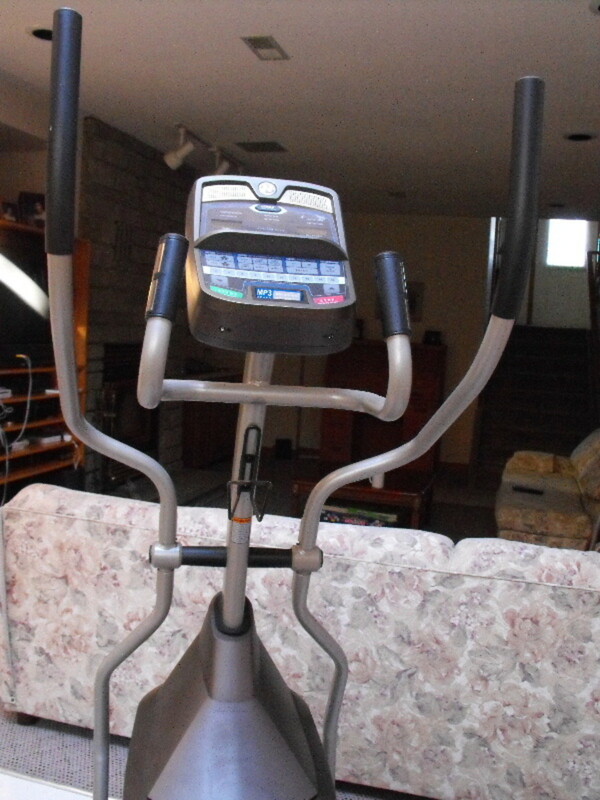 A good elliptical trainer will cost over $1,000 but you would not need to go to gym. Gyms can cost over $500 a year plus the gas to get there, the extra time and the extra will power. A lot of people that join gyms quit. When using an exercise machine at the gym it is a good idea to test out different machines. If you decide to buy an exercise machine I recommend you try it first. Some machines are too loud and others may not provide you with the workout you were expecting. The elliptical trainer I have is a little loud but I can still use it while I watch TV. A good elliptical trainer will tell you your speed, how far you have gone, the amount of calories burned and your heart rate. They will also have different settings so you can increase or decrease the resistance. As your heart becomes stronger your resting heart rate will become slower. A strong heart does not need to beat as often. Elliptical trainers provides a nice low impact cardio workout. To accomplish your fitness or weight loss goals using an elliptical trainer you can not take short cuts. It takes both time and effort. Do not expect the weight to come off quickly. Try for one or two pounds a week. You are not going to lose a pound a day by exercising for an hour a day. When checking your progress do not focus on just your weight. Also consider your exercise performance and how your clothes fit. For best results you should keep track of your progress. It does not take long for your body to adapt so try to base your workout on what your body is capable of instead of letting the workouts get easier. You will not get the results you are looking for if you do not improve. Take a day or two off every week so your muscles can fully recover. Buying an elliptical trainer or a gym membership does not help if you do not use it. If you buy one put it near the couch or chair that you usually sit on. My goal was to lose fat and build muscle. I did not worry about how much I weighed because weighing myself does not tell me how much fat I have. To accomplish the goal I decided to focus on improving my endurance. 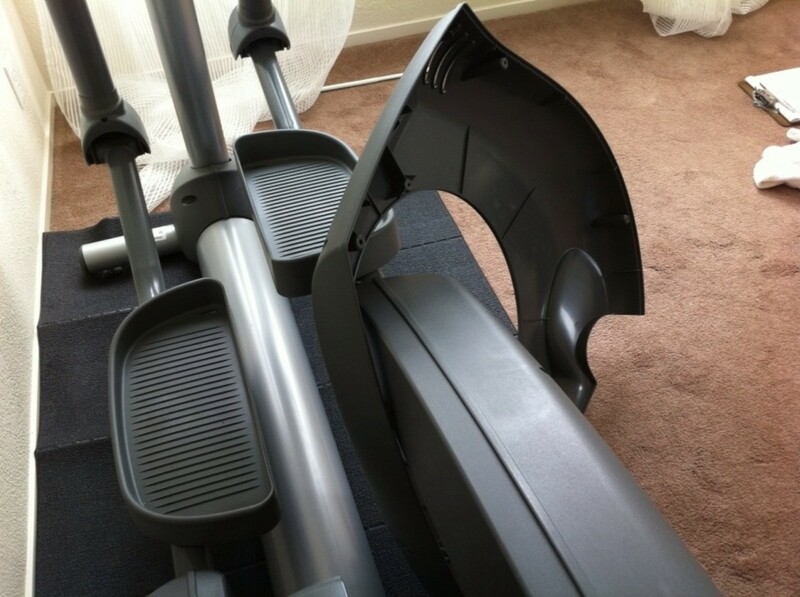 Whenever I used the elliptical I would try to exercise more so I would burn more calories. Since there is a provincial park that is 12.5 miles away from where I live I made 12.5 miles my goal for distance. I figured it would be enough to get me the body I wanted by the time it was warm enough to go to the beach at the provincial park. Exercise machines are usually boring because the movements are repetitive. It was also hard to find time I wanted to give up. New habits are hard to start because you need to give up an old habit. The habit I picked to give up was sitting on the couch while watching TV. While my body was busy exercising I occupied my mind by watching TV. It also made watching TV less boring. I began to prefer using the elliptical to sitting on the couch. It was late spring when I started. Since I had not ran in a while I could only last 20 minutes at first but I focused on improving. 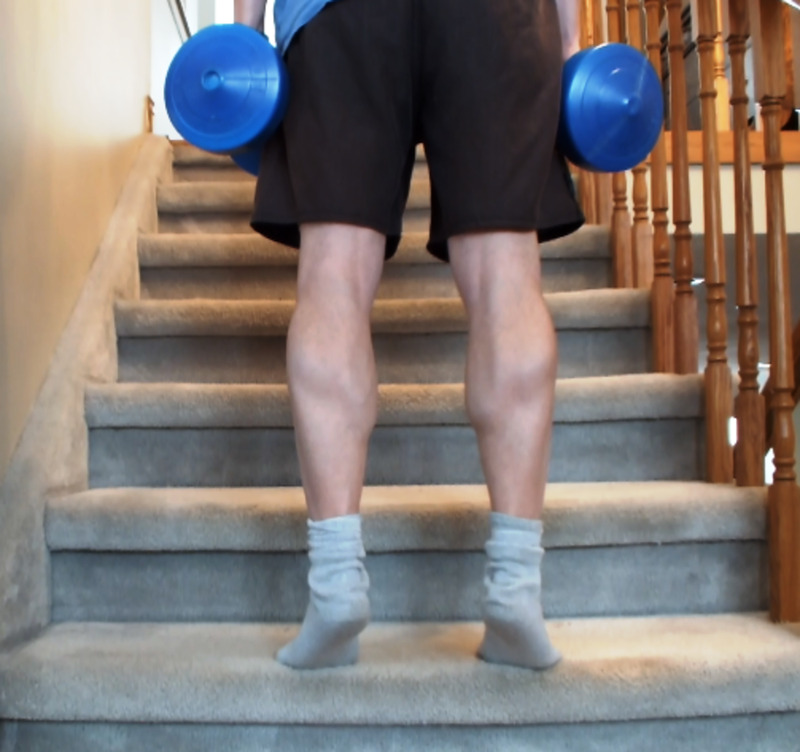 Every time I used it I was able to go a bit farther by increasing the intensity or duration. As my body adapted it took me less time to recover so I started using it more often until I was using it 5 times a week. After a couple of months my endurance improved enough that I could last for over and hour. Within 3 months I could run 12.5 miles. Since I had reached my goal I concentrated at improving the speed so I could do it in less than 2 hours. Then I just continued to run 12.5 miles 5 days a week until it was beach season. In 2 hours I was able to burn around 1,475 calories while watching TV. So doing it 5 days a week I burned 7,375 calories. That is over 2 pounds worth of calories. 3,500 calories is roughly the equivalent of a pound. I did not notice any rapid fat loss but I gradually got skinnier and more muscular. My muscles mostly got harder but they grew a little in size. It mostly works the legs muscles but I also noticed an improvement in my abs and arms. While I made a lot of improvements to my body it took longer than I thought it would. I stopped using the elliptical 5 days a week and started biking long distances as soon as it was warm enough to go to the beach. While I was happy with the results I will start sooner next time. I did not like that the elliptical displays ran out. The calories burned display only went to 999 and the minutes display only went to 99 minutes. So I was running longer and burning more calories then the displays could handle. The time reset but the calories just stayed at 999. The thing I liked most was that it was easy on my body. If I was running on a treadmill or outside I would need to take more time off for my body to recover. After using the elliptical at a fast pace for hours I usually felt tired and hungry. I did not usually feel like doing anything besides watching TV and having a snack after my workouts. However I started at 8 pm and finished at 10 pm. So I am sure the late time had something to do with it. On the positive side exercising on the elliptical is a good way to reduce stress and it made falling asleep easier. Being good at using an elliptical trainer does not mean you will be good at regular running. The movements are not the same. 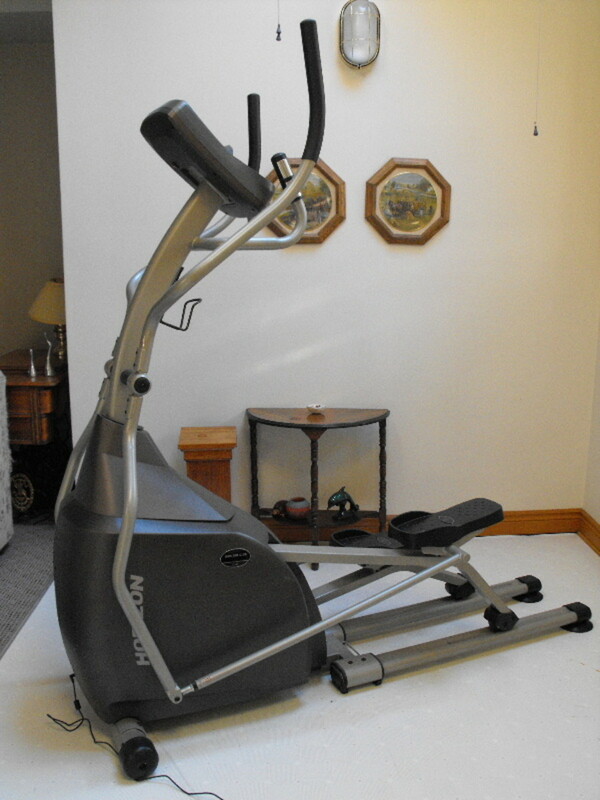 The elliptical trainer is a great exercise machine for reducing fat and building muscle. It is the only machine your need. There is no need to spend time going from one exercise to the next. 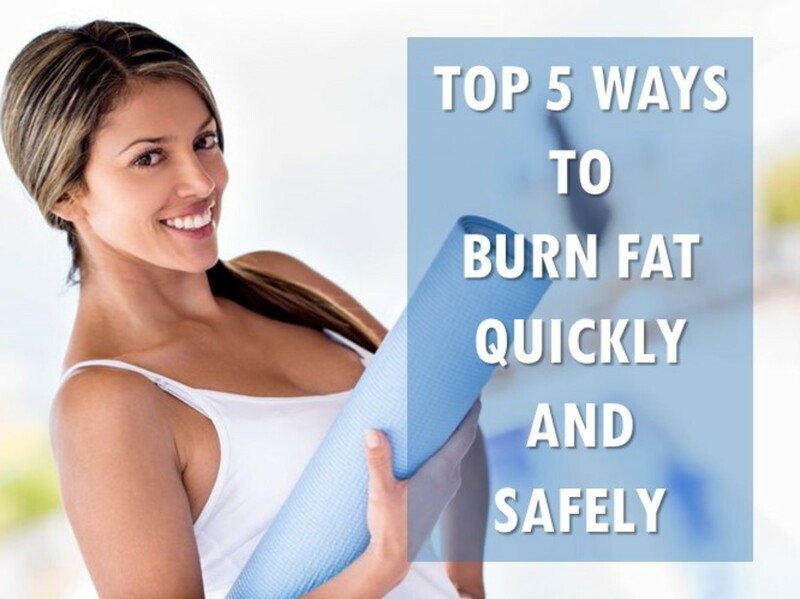 However I would also recommend including some weight lifting or body weight exercises. I prefer to exercise outside but I am a big fan of low impact exercises. Since I can not get outside and go for bike rides on a regular basis the elliptical trainer will remain by main form of cardio exercise.